I'm really looking forward to this concert, and I'm glad that the Baltimore Symphony has decided to perform this music. I've been a serious gamer for years, and in my experience, a soundtrack can make the difference between a good video game and a great one. Video game music, like everything else about video games, has evolved greatly since Tetris, Galaga, and Super Mario Bros. Crude synthesizers have given way to more advanced ones and in many cases to full orchestras. Nobuo Uematsu, who composed the music for the Final Fantasy series through Final Fantasy X, has witnessed this evolution as well as anyone. His music has helped make this fantasy/science-fiction series one of the most popular video game series in history, and I am happy to see the Baltimore Symphony recognize his achievements. I will also be glad to see some people my age at the symphony. 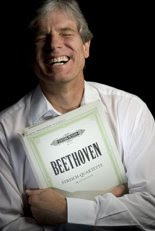 The concert is this Saturday, June 27 at the Joseph Meyerhoff Symphony Hall in Baltimore. The main season is almost over. We are playing this weekend to full houses, with a concert of Rachmaninoff's Third Piano Concerto, performed beautifully by Yefim Bronfman, and excerpts from Wagner's great Ring Cycle of operas. It will be nice to have a little break next week! We have had a great season that included some unusual repertoire this past year. Bernstein's Mass, which we performed in Baltimore, New York, and Washington last October, was a once-a-career opportunity for us. Though we all admire Leonard Bernstein, I think that it was still a pleasant surprise to experience the eclectic chaos of the work. Marin put together a great cast, and it was truly thrilling to perform the work with children's choirs from here and from New York. Click here to watch Marin discuss the project. Mahler's Ninth Symphony, which we performed this spring, was another highlight. This is a difficult piece, even by Mahler's standards, but we were all very pleased with the results. There were a lot of other great performances, too, but the Bernstein and the Mahler stand out to me. 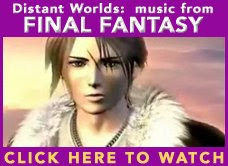 So in couple of weeks we will have our first summer season concert, "Distant Worlds: The Music of Final Fantasy." To be honest, I don't know exactly what to expect from this show, but I will ask my 23 year old and 21 year old sons about Final Fantasy. I know that Eric, my older son, enjoyed "Play, a Video Game Symphony," last summer, in which we performed music from various video games while scenes from the games appeared on a screen over the orchestra. I'm sure that Distant Worlds will be a big hit with the gaming crowd, too. Hi, I'm Greg Mulligan. I play in the First Violin section of the BSO. I have been here in Baltimore since 1980, except between 1989-1994, when I left to become the concertmaster of the San Antonio Symphony. Now I'm glad to be living and performing in Baltimore again. Click here to read more about me. It's funny to me that I am writing a blog for the BSO, because, while I am a good typist and I love to communicate, I am technologically challenged. Whenever something goes wrong when I am on the computer, I hope that my wife Jeanne, or one of my sons, Eric or Stephen, is around the house because there is little chance that I can find the problem! But with their help, and with the help of Jamie Jean Schneider, E-Commerce Coordinator of the BSO, I think I can do this. Last weekend we performed a Pops show featuring music from the 1970s, "Disco Days and Boogie Nights," with our great Pops conductor, Jack Everly, and nine excellent singing and dancing solo performers. While the disco craze has the reputation of having produced some very silly music, I have to say that I really enjoyed the show. I was a teenager in the 1970s, and I remember very fondly going out with friends to dance to all that music. It all has a great beat and it inspires moving your body. And there is a lot of variety. This show wasn’t only disco; it also featured many other types of popular music from that era. It was fun to wear 70s clothes. I used to have an old disco (loud pattern!) shirt, but I'm sure it got donated to Goodwill at some point. So I went into Hampden and found a copper-silver polyester shirt. There were some great costumes in the orchestra, including the French horn section dressed as the rock group Kiss. Join the BSO facebook fan page to view pictures of us dressed to the max for the evening. I'm looking forward to this week. Hilary Hahn is a local girl who has amazed the classical music world with her incredible, beautiful violin playing. She is playing the Higdon Violin Concerto, which I don't know, but I am looking forward to learning it. Also, it will be nice to have Marin back again. Besides Higdon we are playing pieces by Beethoven and Dvorák, two of my favorite composers. If you want to see just how classically cool Hilary Hahn really is, visit her YouTube Channel.